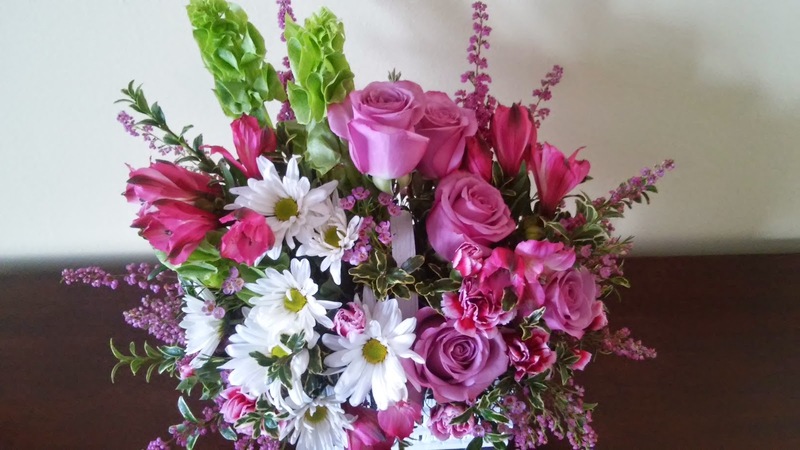 As Easter approaches this weekend, the world gets engulfed in the sweet aroma and fragrance of flowers, and as always, Teleflora the world’s leading floral company has a spectacular Easter product line-up. Teleflora offers hand-arranged, hand-designed floral arrangements by local florists delivered directly to customers. This year, Teleflora is featuring five bouquets that would be a joyous surprise for Easter or any springtime occasion. Just in time for the beginning of Spring and Easter's arrival, I received the beautiful White Picket Bouquet! It is a glorious little garden to go! Hand-delivered in a charming white picket basket, this spring-fresh bouquet bursts with a colorful array of roses, asters and daisies. Just the thing to ring in spring! This lush bouquet boasts lavender roses, pink matsumoto asters, white daisy spray chrysanthemums, bells of ireland, pink heather, lavender sinuata statice, oregonia and lemon leaf. 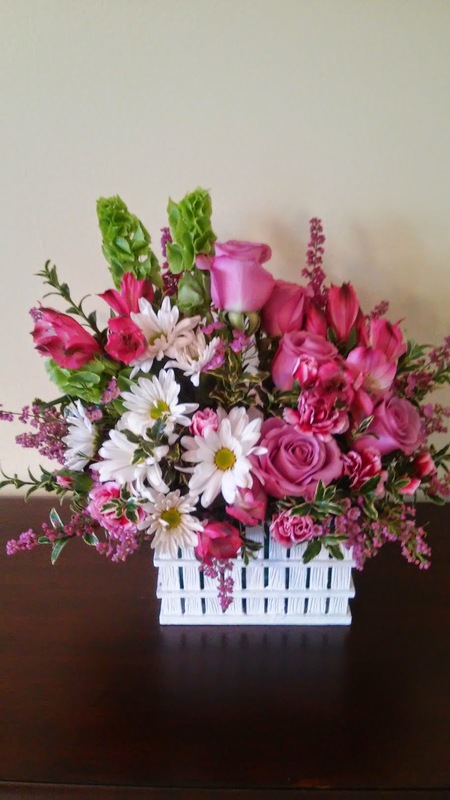 And it is all delivered in Teleflora's exclusive White Picket basket! This bouquet added the perfect mix of color in my home and reminded me that it was spring every time I looked at it (even though the thermometer only said 40 degrees!) It is beautiful and full of so many different vibrant flowers! Approximately 14 1/2" W x 15 1/2" H.
You can purchase the White Picket Bouquet for $54.95 from the Teleflora website.